There were 14 miscellaneous toy lots at the start of this auction which achieved excellent results, proving the reward for careful viewing. Lot 292 was a collection in 14 boxes with an estimate of £160 but finally realised £1032! 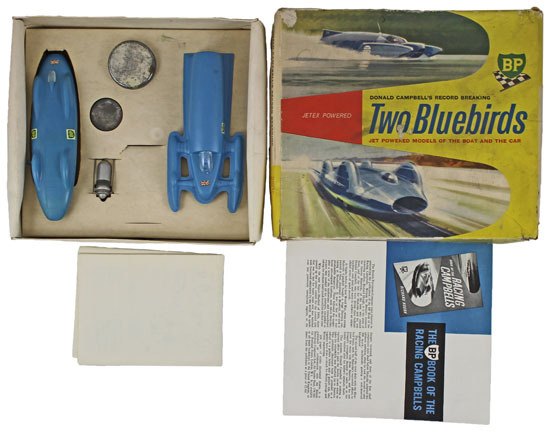 Lot 316 was an unusual Sebel Jetex Two Bluebirds set, which achieved £100. 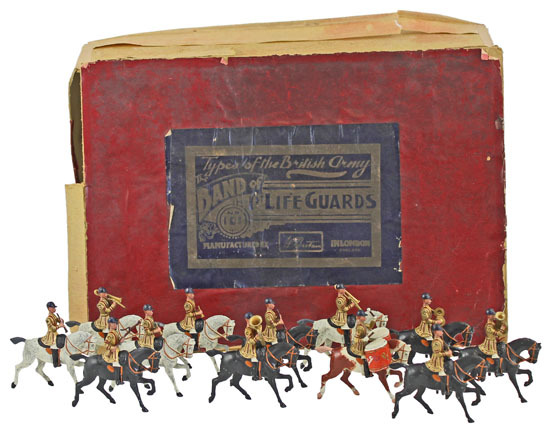 There were 88 lots in the model soldiers section and this Britains 1925 version of the Mounted Band of the Life Guards set realised £177. The sale included almost 200 lots of die cast models. 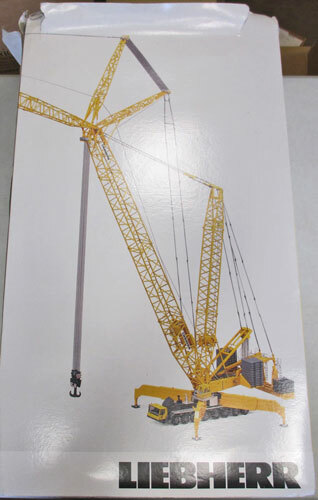 A large Conrad Mobile Crane raced past estimate selling for £271. 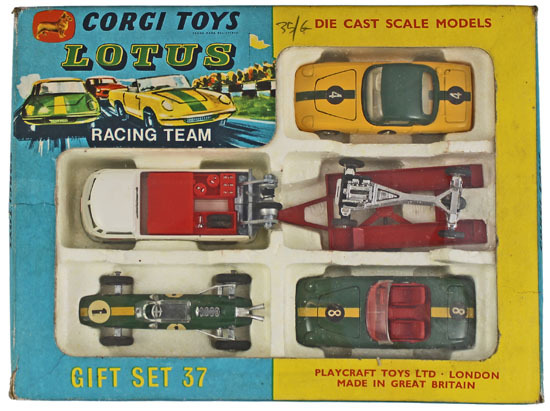 The Corgi section included this Lotus Racing Team Gift Set No 37 which realised £224. 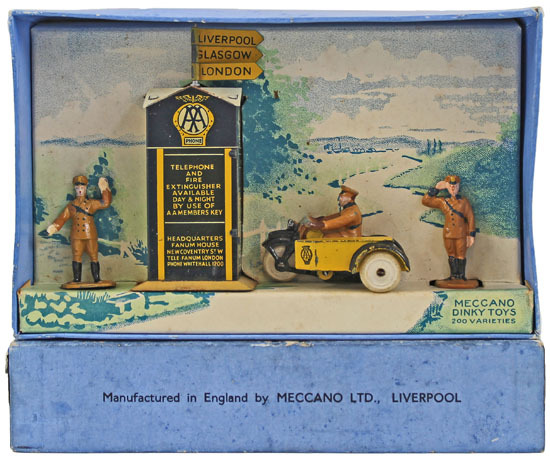 Dinky models proved popular as ever with this AA Gift Set No 44 achieving £378. The scarce Taylor & Barrett Royal Air Mail Service Car came in just below estimate selling for £106. Our next die cast, model soldiers and toys auction will be held on Wednesday 16th November 2016. The full catalogue for this sale will be on our website in the next few weeks or keep an eye on our Twitter and Facebook pages which will include updates of our latest auction news.